2010-2015 Toyota Tundra 4.6 V8 Volant Cold Air Intake (Dry Filter)4DarrenSeptember 5, 2012A bit of confusion when I received the 188577 part# after ordering the 188466 part #. 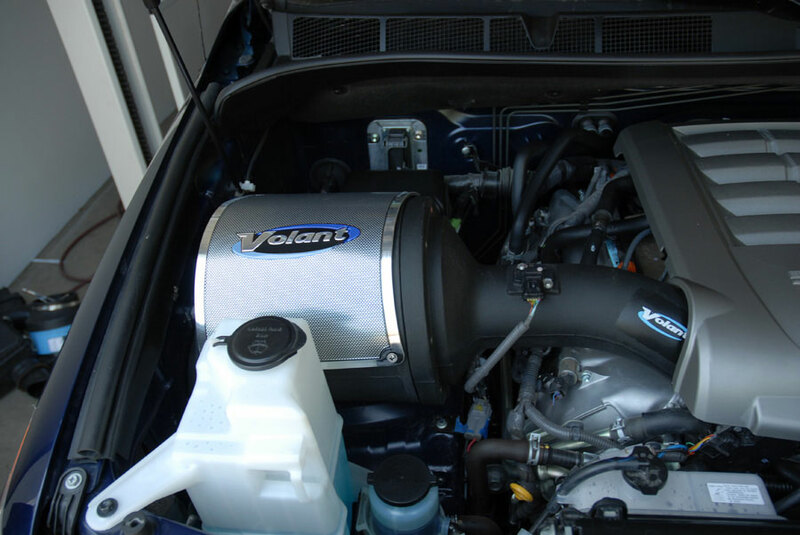 After researching Volant's site, it is the exact same part # for both the 5.7 liter and the 4.6 liter. I'm not sure why the trouble of listing a different part #. Shipping was quick and installation was simple. I love the added performance and sound (as well as a slight mpg improvement). The intake still sounds factory until you step on it, then you can hear the new growl. One gripe I have is the side that is supposed to fit snug against the fender wall actually has about 1/4" inch gap. I think Volant could have designed a better fit. I think a thicker piece of foam would do it. Overall I am very pleased and would recommend the intake. The part number for this Volant Intake is 188466 and it fits 2010-2015 Toyota Tundra 4.6 models.